Grout is the one reason that keeps people from loving their stone and tile floors. But, grout does not have to be an issue. JMC Stone and Tile Care has a grout colorant process that will restore your grout to the color you want it to be. It will also give the grout a stain resistance so that you no longer have to worry about every little thing in regards to the grout. JMC Stone and Tile Care is the best tile and grout cleaning and restoration company in the South Riverside County and Temecula. 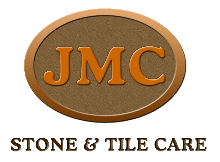 Our skilled staff at JMC Stone and Tile Care works with a variety of fine stone, including marble, granite, limestone, slate, travertine, terrazzo, and concrete. We strive to restore the beauty of the natural stone so that you will be able to enjoy it for years to come. Whether you just need a light polishing or have a full-scale restoration project in mind, our restoration company and fully insured professionals can handle the job expertly and efficiently. We are absolutely thrilled with our new floor!!!! Yes, I say new floor because that is the way the whole house looks! It looks like brand new tile. Justin, you did a fabulous job! Thank You.